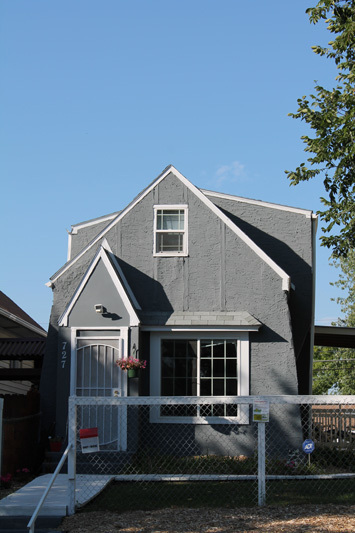 This 1900 house has been through a number of renovation projects, and now sports a number of unusual angles and features that make it look like something out of a children’s book. It is covered over in stucco but some early streetscapes show it was originally a wood frame building. 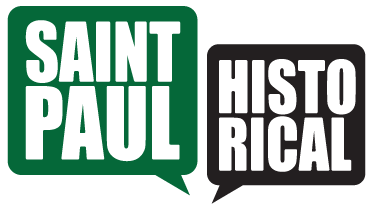 Jane McClure, “727 Sherburne,” Saint Paul Historical, accessed April 19, 2019, https://saintpaulhistorical.com/items/show/284.